Sometime ago an email did the rounds and scared some people by showing gory pictures of carpal tunnel syndrome. When I checked with an orthopedic friend of mine, he said that the email information was partly inaccurate! 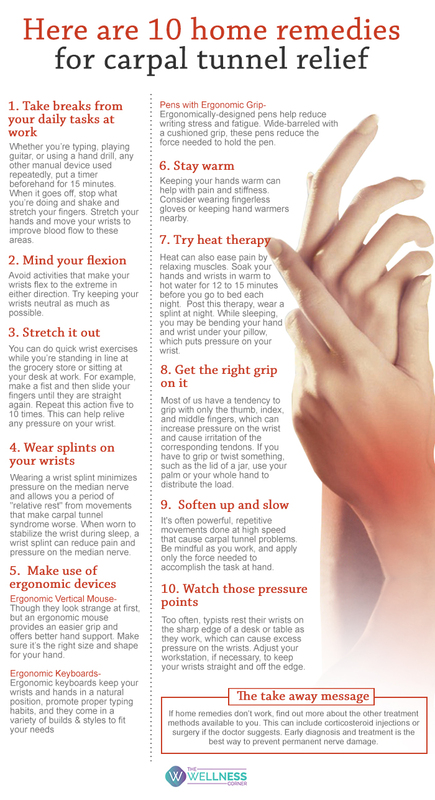 What is carpal tunnel syndrome? It's a group of symptoms like numbness, tingling, weak grip, pain or weakness that may sometimes lead to muscle damage. It is caused in the hands and fingers due to the pressure on the median nerve that is present in the wrist. It is common in people who perform repeated tasks like typing (on a keyboard or typewriter), sewing, writing, playing some games, etc. If you have any of the symptoms persistently, do consult an orthopedic specialist or an RSI specialist. Make sure your work place, gadgets and implements are user-friendly and ergonomically suited to you. Take short breaks during work to give rest to your wrists, fingers and hands. Prevent serious damage by being cautious and attentive to symptoms.